The January jobs report was released this morning. 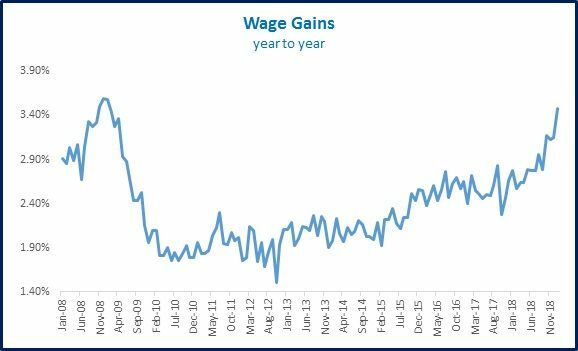 Wages were above 3.0% for the fourth consecutive month powered by non-supervisory worker gains. 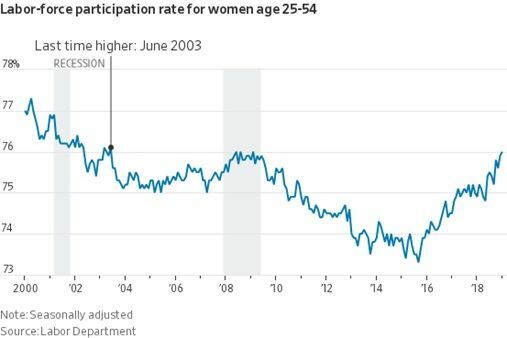 Participation is at a five year high with working age women at highest level in almost 16 years. The market loved the jobs report, but the major indices surged even more on manufacturing data that erased the concerns from last month. Remember, the last ISM manufacturing report released on January 3 sent the Dow plunging 660 points. The market is mostly spinning its wheels holding onto gains for the Dow and S&P. Energy is leading the way as Exxon Mobile (XOM) crushed earnings consensus and Chevron (CVX) pumping record 2.9 million barrels of oil a day. The market is right there at the top of its resistance range, which means we are going to see a massive leg higher after a short pause or a meaningful pullback; although, it is unlikely to retest the Christmas Eve low. I am in school working on my MSIT (SP 2019). I incorporated as Integrated Technical Alternatives, Inc three years ago to set a goal. And now planning on doing CyberSecurity reviews with a tool I developed. As a man 66 years old, I do not want to take new opportunities from the younger folks by working somewhere they might be able to. I hope to expand over time so I can hire some of them instead. Thanks for the new job stats. The economy is encouraging. Great jobs result for the month, isn't it telling though, the government still managed to add jobs during a so called horrible/ life altering shut down. We could maybe benefit from another shut down at least to slow the growth of the DC swamp.